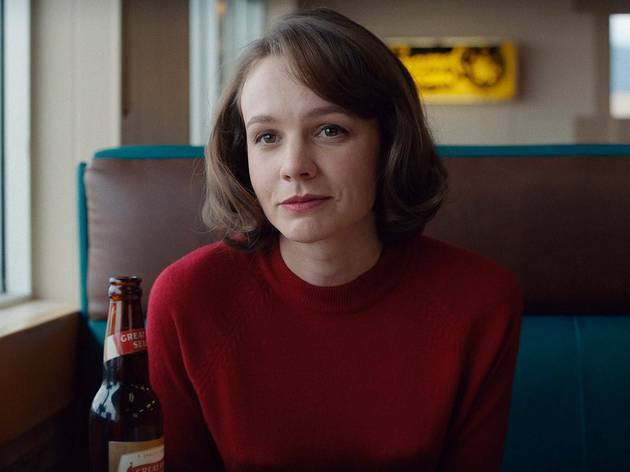 Carey Mulligan is on fire as a frustrated '60s housewife snatching back her identity. As an actor, Paul Dano is always up for the odd, the disconcerting, the complicated. Drink in his highlights reel: Little Miss Sunshine (confused adolescent), There Will Be Blood (conflicted preacher), 12 Years a Slave (sadistic tyrant), Love & Mercy (broken Beach Boy genius). 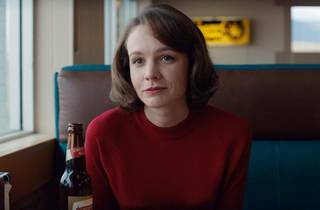 Reassuringly, his first film as writer-director follows suit—Wildlife is a finely detailed, darkly humorous powder keg of a character study. With the help of Zoe Kazan, his longtime girlfriend, Dano has adapted it from Richard Ford’s novel. The book was published in 1990 but is set in 1960, where, in Great Falls, Montana, a seemingly picture-perfect young family begins to crack. Jerry (Jake Gyllenhaal), always keeping his clan on the move as he drifts from job to job, loses another one. Perhaps in search of some misplaced masculinity, he flees to fight fires in the mountains instead of the metaphorical ones building at home. While he’s gone, his wife Jeanette (Carey Mulligan) snaps; her dutiful days of housewife chores and buttoning her lip are done. Mulligan’s characters have often been buttoned up, well-meaning types who emanate goodness, but the shackles are off here. For better or worse (let’s go with both) Jeanette discards her maternal instincts, reclaiming her younger self, elemental and instinctual, regardless of what the neighbors—and even her teenage son (Ed Oxenbould)—might think. “Did you have a nice chat about me?” Jeanette asks her husband at one point. “All my character flaws on parade?” She’s a woman out of time, and Ford’s story, written 30 years ago, set 60 years ago, is strikingly resonant. Forget your picture-perfect Strong Female Character—this one’s a glorious mess. Wildlife is a reckoning for Jeanette, for Mulligan and, in its own way, contemporary cinema. Wildlife can feel a bit like a play but its stifling confines and claustrophobic mood are deliberate. It doesn’t look like one—Diego Garcia’s cinematography exudes romance, albeit a doomed one—and Dano steers clear of melodrama, drenching it in atmosphere. It’s uncomfortable in all the right ways. You sweat it out with them.